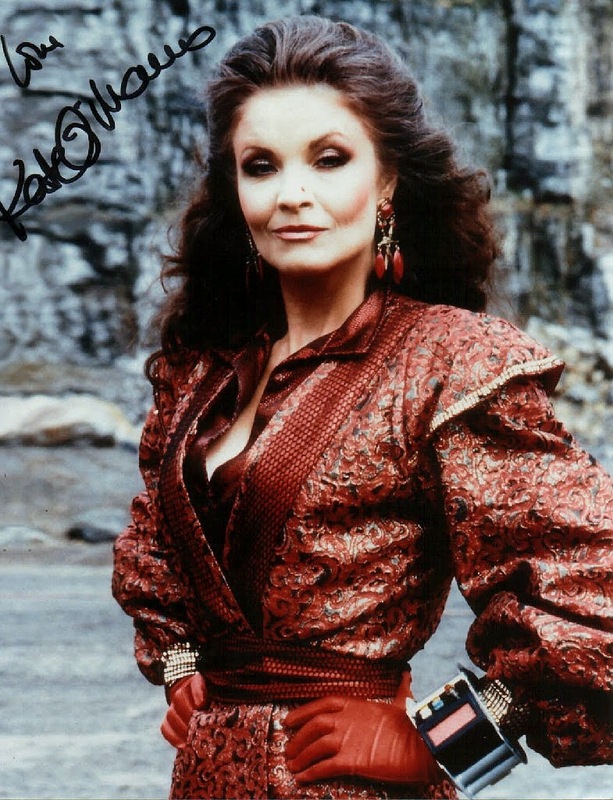 Farewell Kate O'Mara, I loved your portrayal of the villainous mistress Rani. It was wonderful having an evil woman villain. 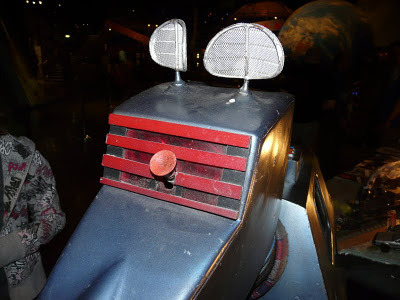 I wished the Rani could have come back for the new series. Kate was 74 and reportedly died after a short illness. My thoughts go to her family, friends, and many fans. 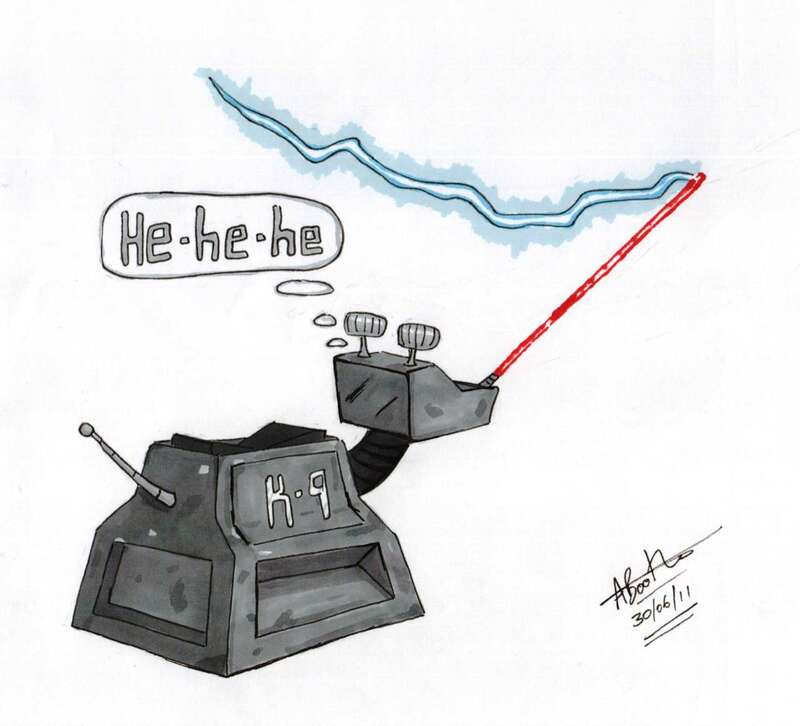 I have recently seen these two K-9 cartoons and I just had to share. 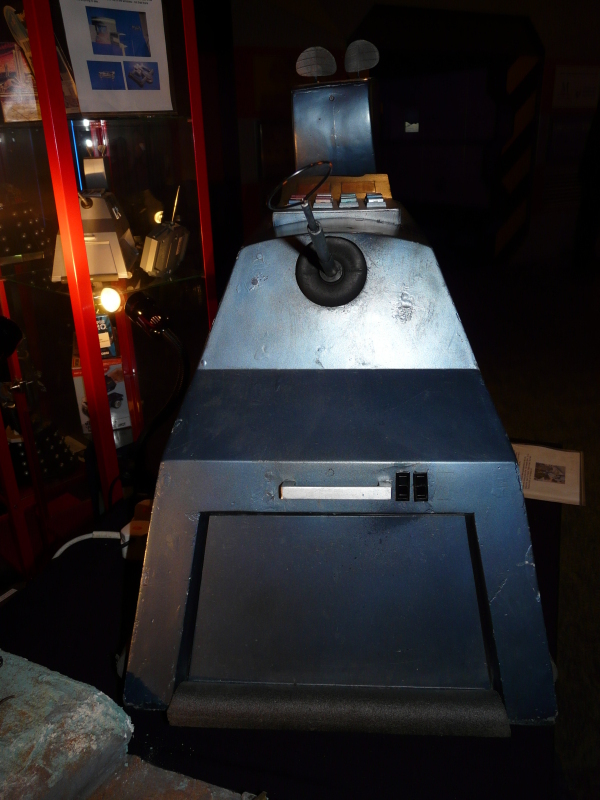 No, I haven't been exterminated off the face of the planet. 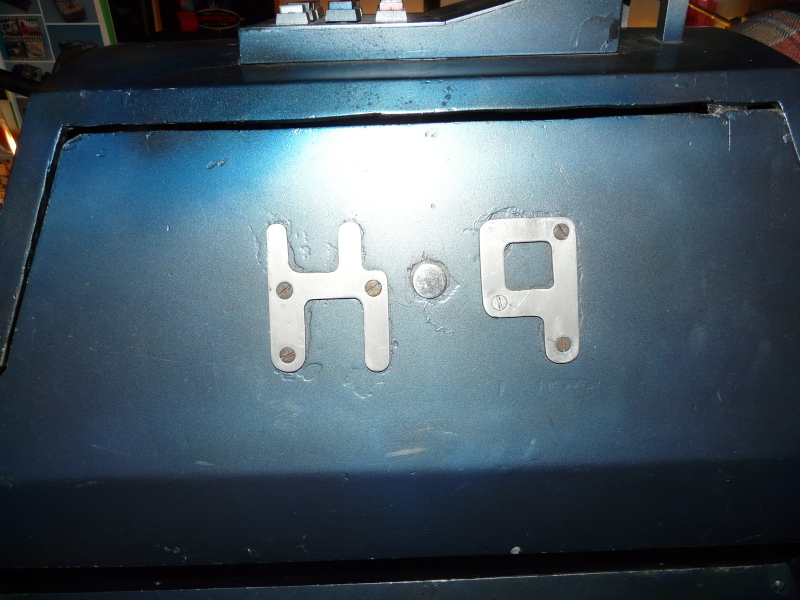 I am still here, still tinkering on my K-9. 7th December last year, I came to my laptop that was running fine a few minutes earlier and it just had a black screen. It could not be revived. It took over two months until work managed to get a replacement laptop to me with all my data recovered on it. So now I can access the web more easily and get back to blogging my creative endeavours. 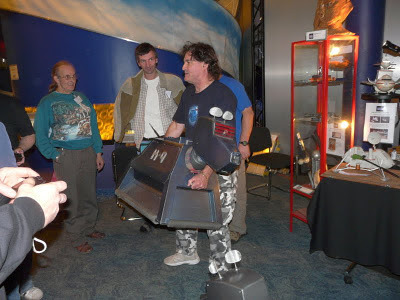 More posts to follow shortly, so stay tuned. Here are some more reference images of Matt Irvine's Hero prop I found in 2009 from a forum. They were uploaded at the time by Gaffzille. 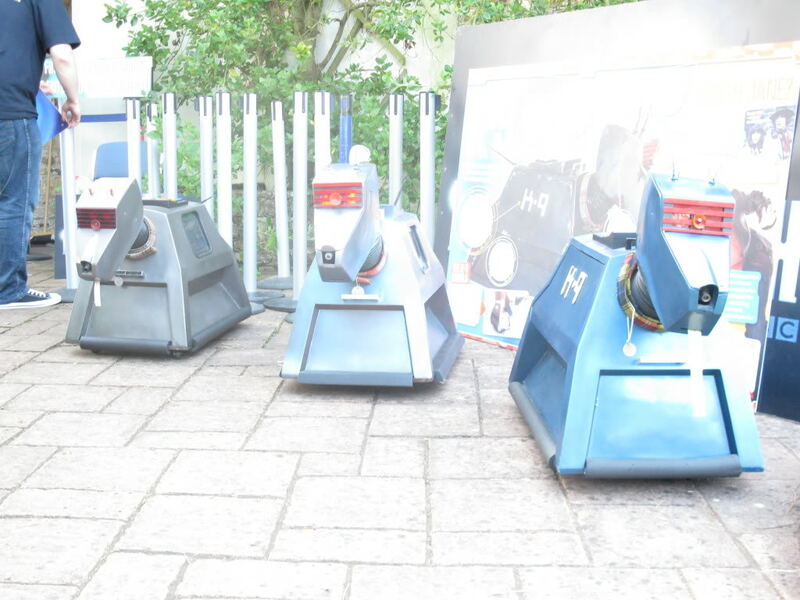 Matt can be seen in a number of images. 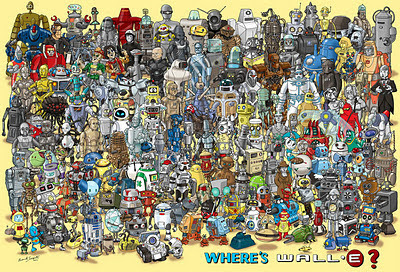 I just love this, it is very well done. 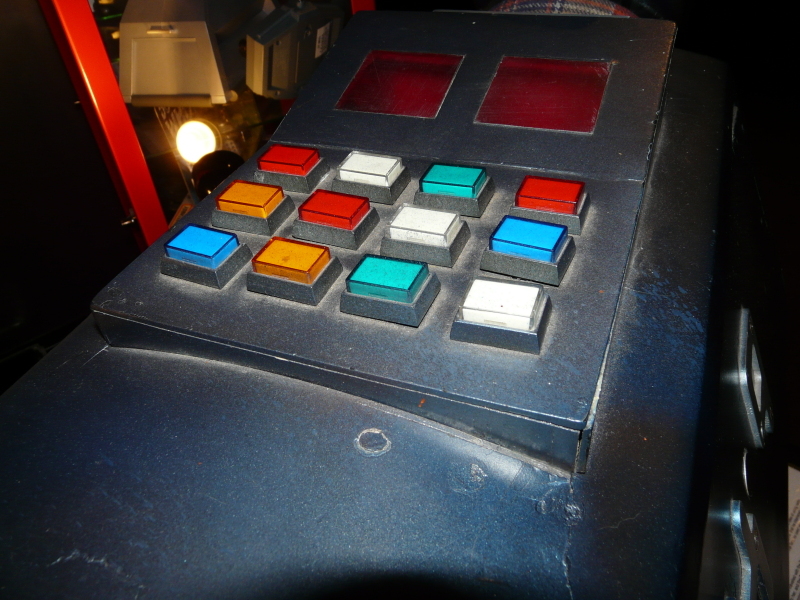 It is always good to have more reference images when you are building a prop. Here are some I stumbled on from RPF, post up by Dano. Notice the bumpers have been changed by Matt Irvine to square ones. 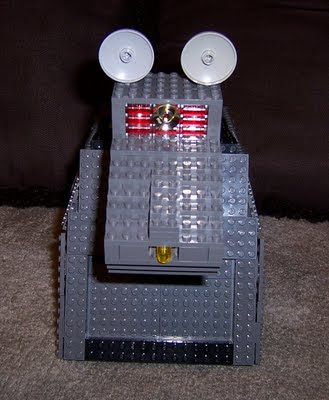 Matt Irvine has replaced the screws in the head with rivets. 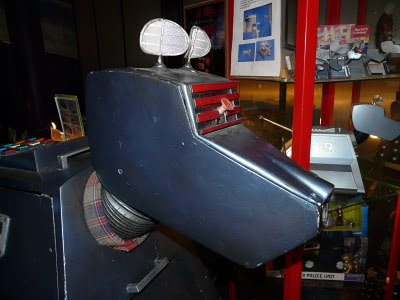 This Hardback book is in Full Colour featuring the story of K-9; from his travels in Time and Space with Doctor Who to appearing in his very own series. Featuring anecdotes from many of the people involved with K-9 over the years this is a must have volume that features exclusive never seen before designs, photos and behind the scenes stories. 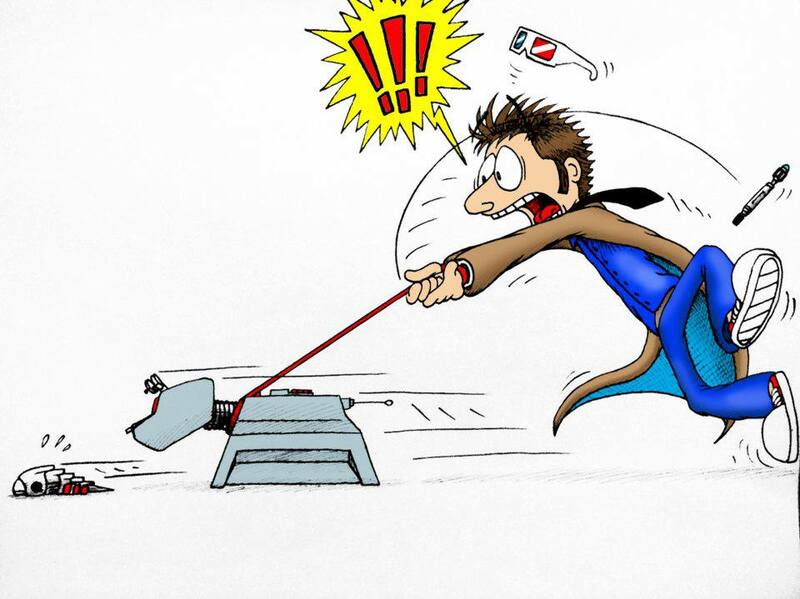 Join K-9 and his friends in this full colour book featuring short stories, behind the scenes features, comic strips and Monster mayhem!. Release Date September 2011 (still not released). 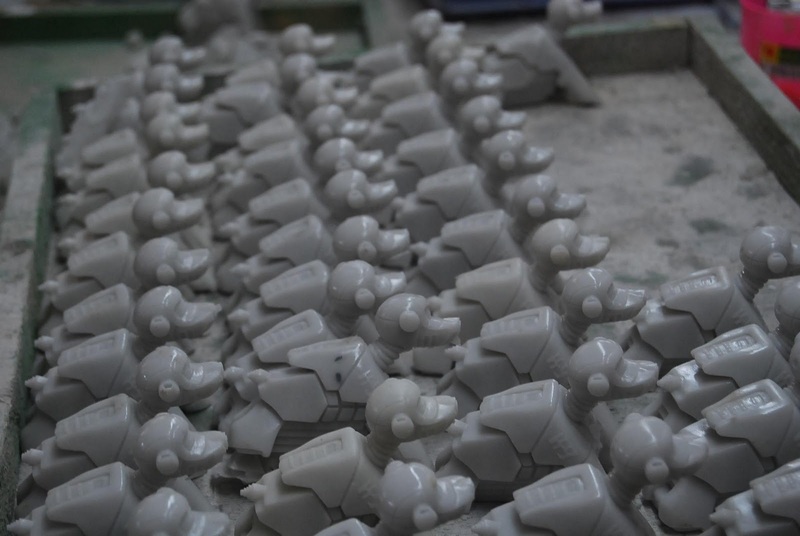 Details and Image to be announced very soon! None of the items have been released yet, even though this announcement was from July. 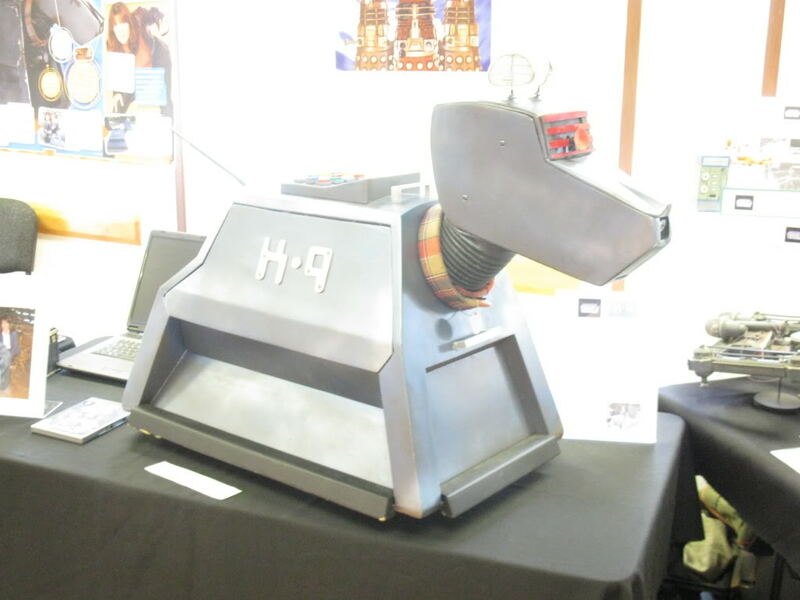 I am especially looking forward to 'The Complete Book of K-9'. However, from the Official K-9 Facebook Page I can reveal what the figurine will look like. 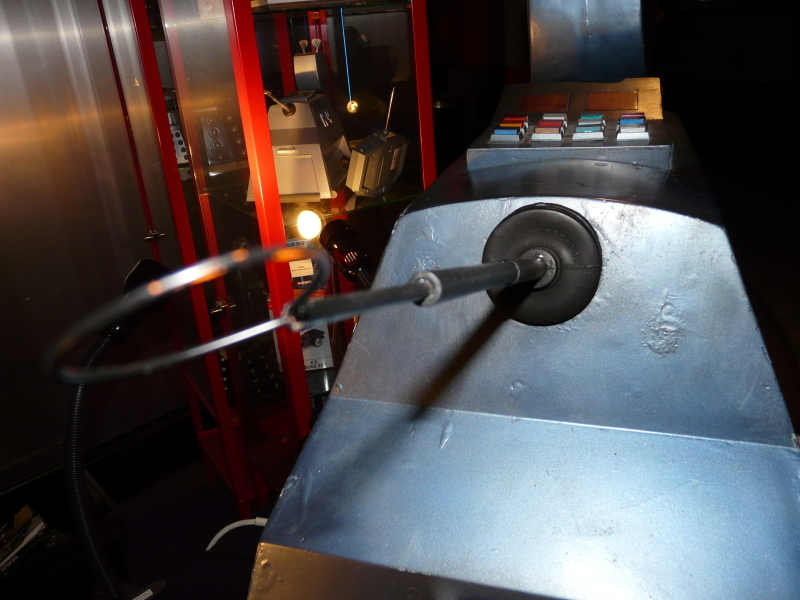 CentrStage is gearing up for a Dr Who-themed play in Launceston this week. 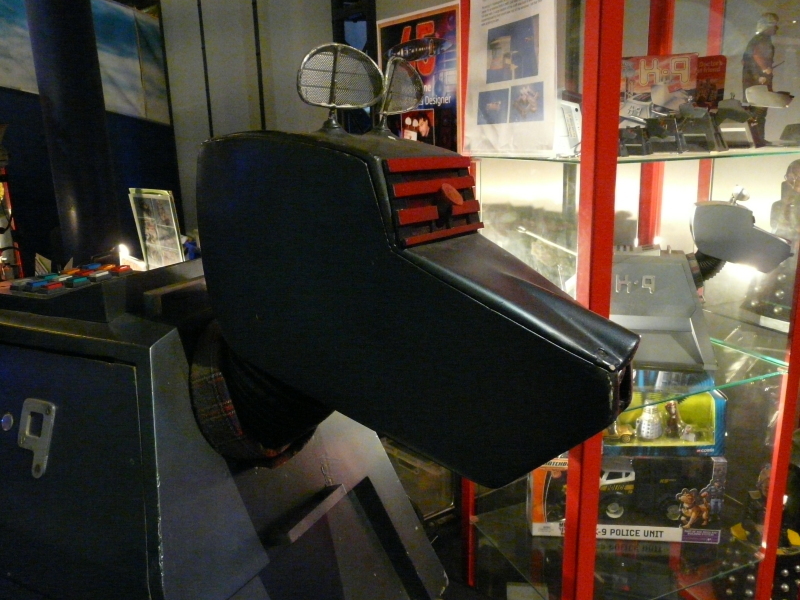 Evolutionary scientists believe the humble dog may have been the first domesticated animal on the planet. 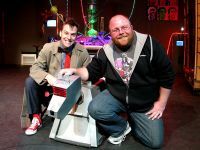 Picture: “Russell”, played by Chris Jackson, and Who Knows director David Quinn pose with their new-found robotic friend, K9. Humans and canines are believed to have first joined forces more than 10,000 years ago, and the relationship has been so successful that the dog has been dubbed “man’s best friend”. But the dog of the future may be more along the aluminium-plated lines of the star of CentrStage’s upcoming comedy, Who Knows. 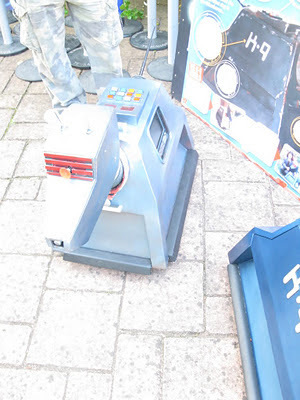 The Dr Who-themed play features the title character’s constant companion, the robot dog, K9. Who Knows director David Quinn has already formed a strong bond with K9, who will be performing in the show from 7pm at the Annexe Theatre at Inveresk, from Wednesday, September 28 to Saturday, October 1, with a matinee at 11am on Friday, September 30. 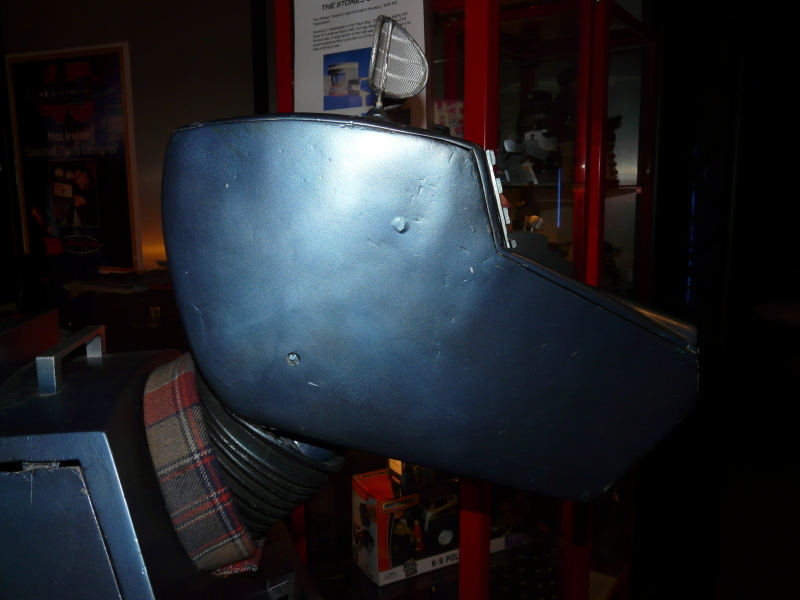 Quinn has praised both the cast and the technical crew who have brought K9 and the rest of the Dr Who world to life. 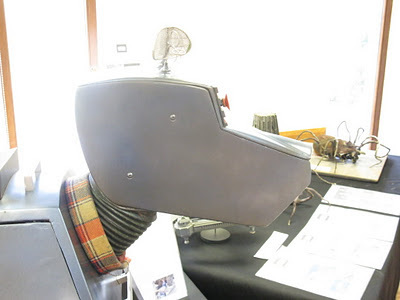 Along with the antenna-eared K9, technical staff have also sourced or built from scratch a range of other Dr Who props, including a TARDIS, Daleks and a time travel computer. 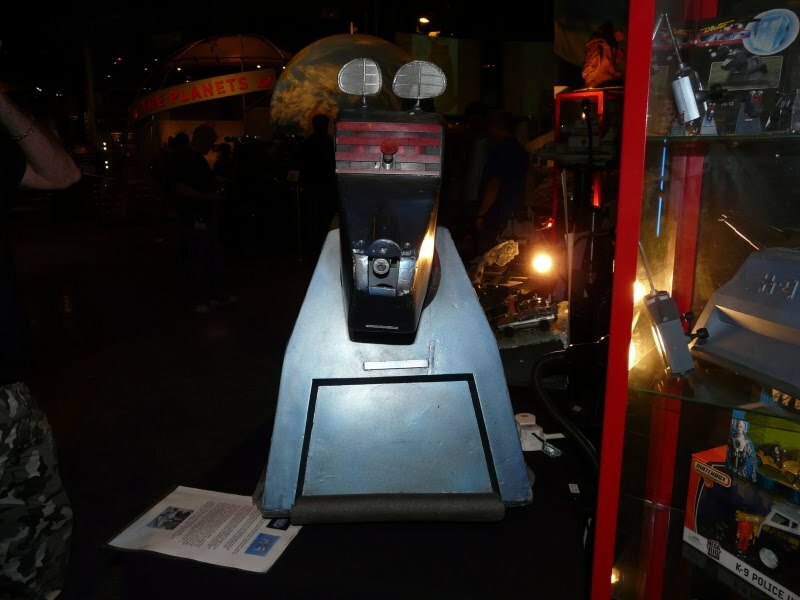 “When it all was put together, it was fantastic. When you see it under light, it looks amazing,” Quinn said, while throwing an affectionate arm around K9. “The people that have put so much work into it have really kicked it up a notch. Quinn said the show, while technically complex, was coming together well. “Everyone has stepped up to the mark and we are going to have a fantastic looking show as a result,” Quinn said. Who Knows, is being performed by CentrStage, from 7pm at the Annexe Theatre at Inveresk, from September 28 to October 1, with a matinee at 11am on September 30. Tickets are available through the Princess Theatre on (03) 6323 3666. 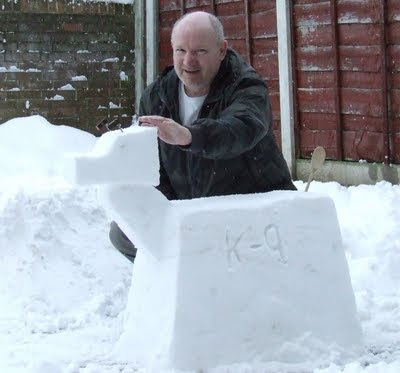 For all my readers who are having snow, like in Tasmania, I thought I would present a very inspirational snow K-9, make by Paul Edwards. For the readers in summer, perhaps it will help you think of cool days? Yet another one of them silly days, my daughter is off college and wanted to do something in the garden. Obviously today was different, it was full of snow, so no more computer for a while. 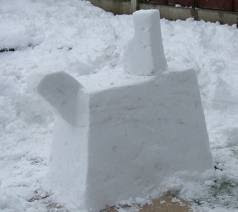 My last attempt was a polar bear of sorts, so for my next attempt I looked for something completely different. 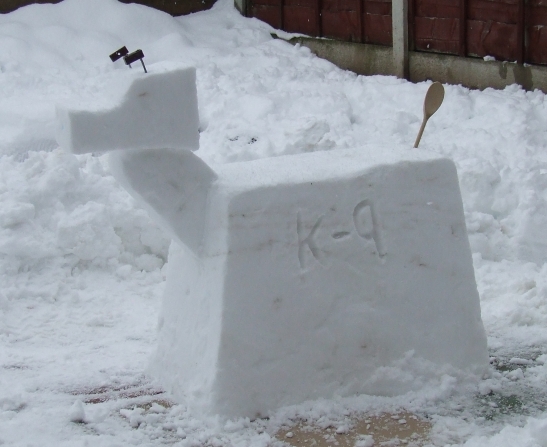 My daughter likes Dr Who, so I gave it a little bit of thought and decided to have a go at Dr Who's dog K-9. It is starting to take shape, looking a bit like K-9. 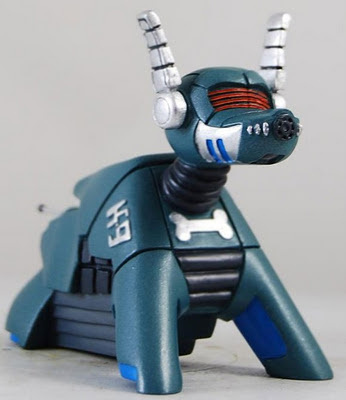 Good Dog, K-9 finally finished. 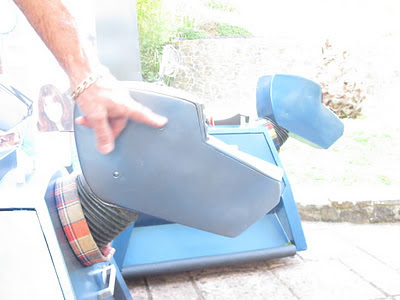 Paul Edwards giving K-9 a pat for being a good dog. Once I had finished, someone decided to let our dog out, who promptly attacked K-9 and decided to pee all over the other side. 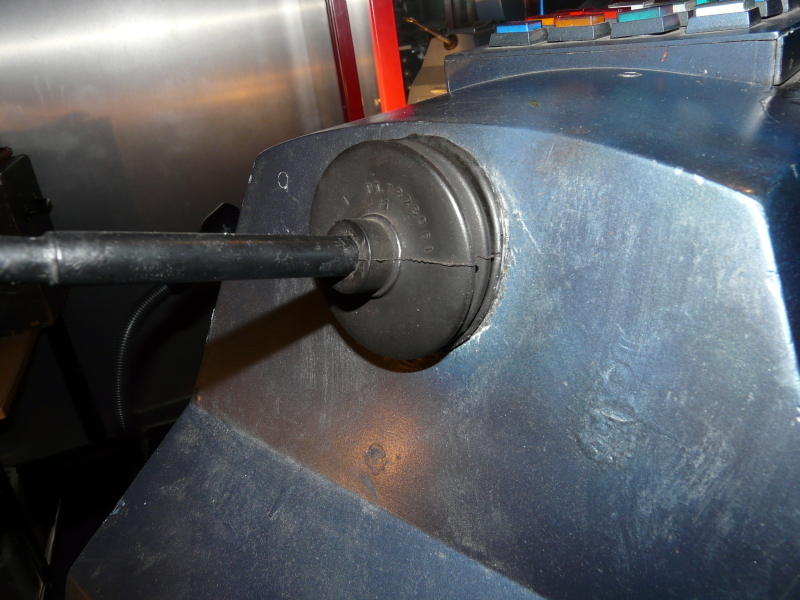 After a few adjustments all is well again. 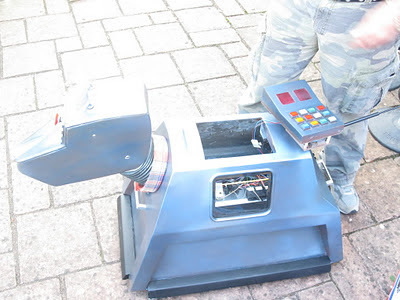 Now just got to find of way of stopping our dog attacking it again. 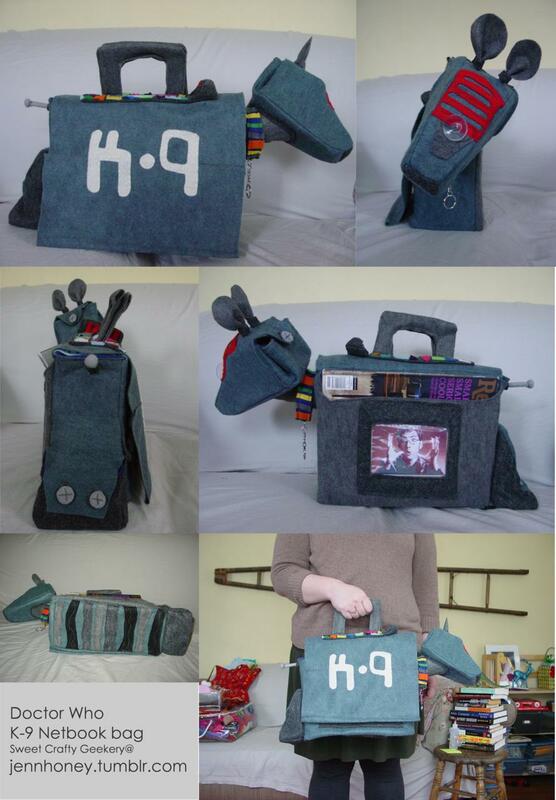 I am always amazed at the care and creativity people put into their K-9's, what ever they happen to be made of. 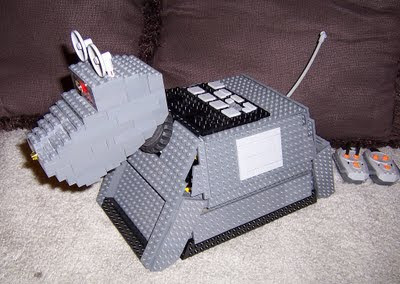 This one is made from lego and is by Lego_Joe. Fantastic! K-9 from Doctor Who... made out of Lego. He moves, his eyes light up, his tail wags, his head moves up and down and he fires his nose laser. 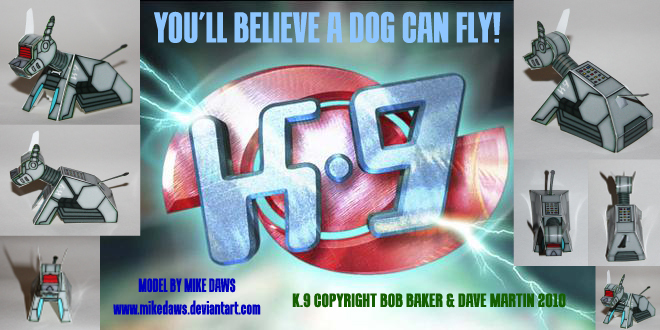 A must for all K-9 fans to listen to! :) It was a pure joy to his voice and stories. Thank you Gerri and Eugenia! 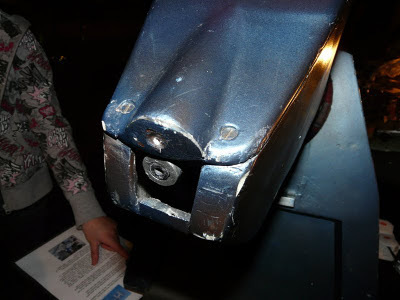 In this podcast Gerri and Eugenia have a conversation with someone very special to them! 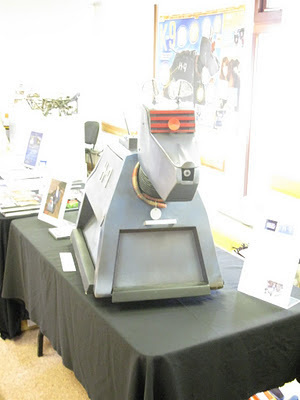 John Leeson the voice of K9 one of the Doctor’s longest running companions. 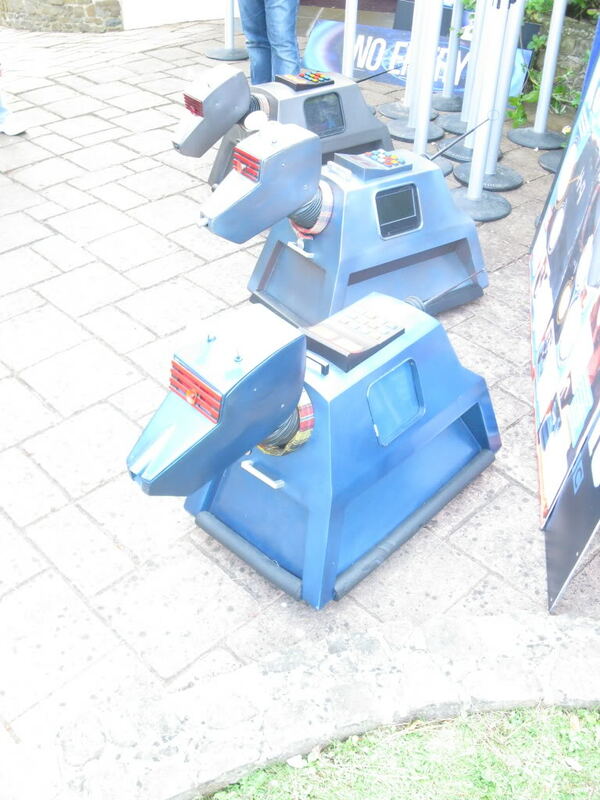 K9 has worked with more incarnations of the Doctor than any other companion has! Go on Google him! John Leeson played the voice of K9 for most of the last 25 years and in this podcast we get to listen to some of his most memorable moments from the set of the show, his career in the arts and his passion for food and wine. Gerri and Eugenia were very lucky to meet not only one of their icons but a charming and very interesting man! Their thanks go to Gifts for the Geek www.giftsforthegeek.com.au for this wonderful interview. If the current range of K-9 craft wasn't enough for you, there is even a cross-stitch pattern available from here! 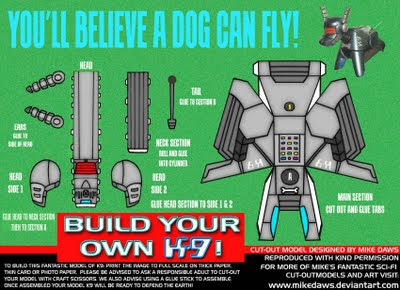 Even though K-9 looks really cute, if I were to make it I would change the writing. 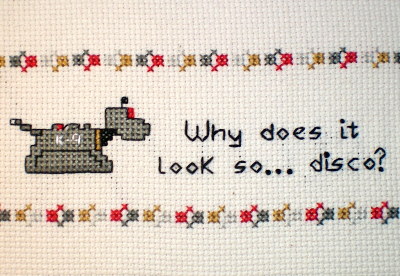 The quotation is infact, "Why does he looks so... disco?". It comes from Rose Tyler in School Reunion when she first sees K-9. A very cute K-9 Notebook bag that was created by Jennifer! To my boss who allowed me to do work on my K-9 project in my back office in my spare time, and not laughing at me! 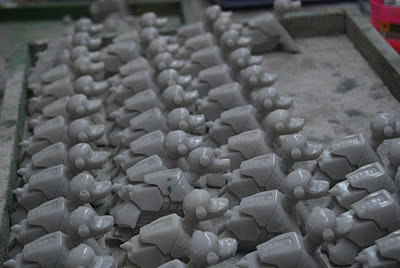 Robots with a lot of love - My dear friend sent these robots to me for Valentine's Day. 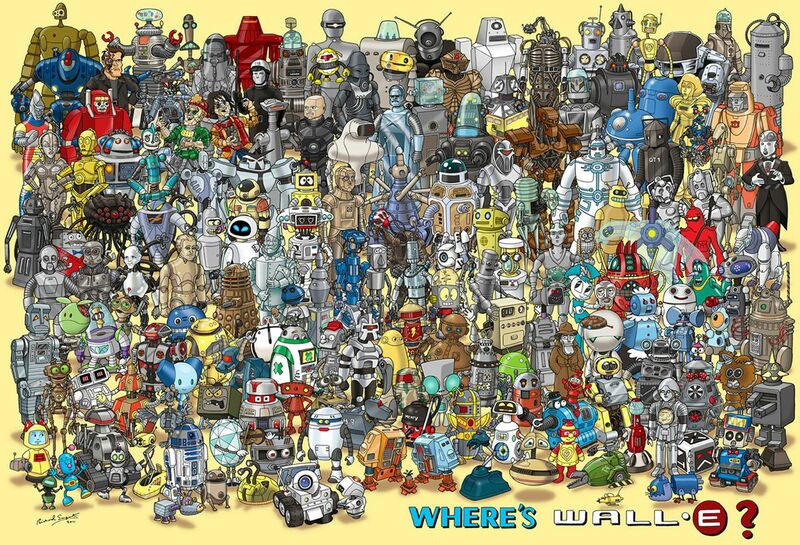 I just had to share the robot love with you.